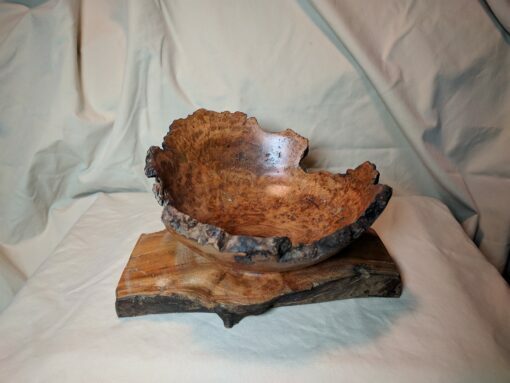 Another unique cherry burl. No wonder i end up working with so many of these. this one grew on a small branch and i was able to keep that part attached when turning the bowl. So this is one single piece of wood. something different and a great conversation starter at dinner parties.